German Road Races (GRR) e.V., the Association of Running Organisers in Germany, is the independent mouthpiece of running and athletics in the Federal Republic of Germany. The aim of its initiative „Witnesses of running and athletics“ is to pay tribute to the successes of the „ancestors“, that is the initiators, organizers, personalities and/or employees who „pushed“ running and athletics forward in Germany with their ideas, visions and activities. With the help of this GRR video project, later generations may learn how sports came into being and what developments were necessary to promote it, when, by whom and at what time, as well as become aware of the difficulties and resistance that have challenged the visionaries. At the GRR Annual General Meeting 2016 in Paderborn, a first video trailer was shown: it presented the long-standing organizer Horst Wiczynski, who further developed one of the oldest and most traditional German street races, the Paderborn Easter Run. The video was produced by the local AFV Medienproduktion Weihrauch in Bad Lippspringe. As recently announced with another trailer at the GRR Annual General Meeting 2017 in Würzburg, Helmut Winter (Berlin) has now produced a (youtube)-video about Horst Milde, founder and long-time race director of the Berlin-Marathon. Helmut Winter is not only well known to the readers of the GRR website through many articles about running events from all over the world, but also internationally known for his timekeeping at the largest races worldwide (together with Sean Hartnett). He is also active as a running expert in the historical reappraisal of running. His office overflows with exhibits from many well-known races; he is without doubt an insider of Berlin’s running history. 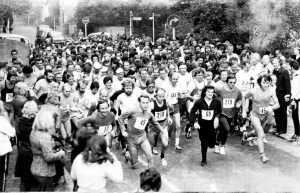 The Berlin Cross Country Run began in 1964, a time where Milde was still a student of „Free University of Berlin“. After that, there were many fun runs and folk walks during which the Berliners had to „learn to run/walk“. In 1974, Milde founded the BERLIN-MARATHON, which is now regarded as one of the largest marathons in the world with over 41,000 participants and ten (10) world records. 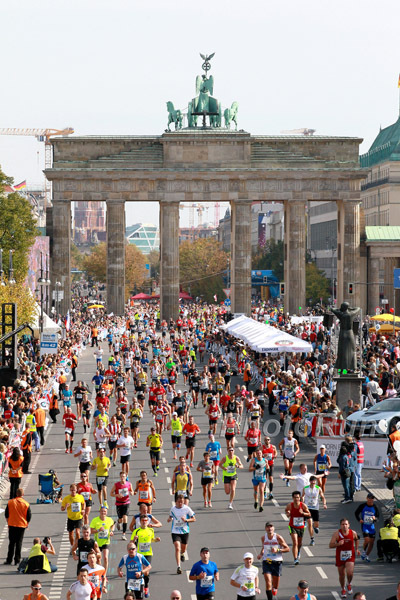 The Berlin Half Marathon (36,000 participants), the AVON Women’s Run with now 18,000 runners (founded in 1984 together with Katherine Switzer), the Team Relay (29,000 participants), wheelchair and inline marathon…, just to name a few. The video also refers to the introduction of technical and other innovations, such as the introduction of chip timing, the correct measurement of running tracks, the „blue line“ or the foundation of the Marathon Jubilee Club (runners must have finished ten times) and the literature marathon. 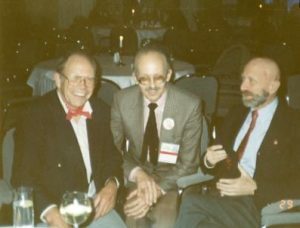 In 1982, Milde was one of the co-founders of AIMS (Association of international Marathons and Distances Races) and of the WMM (World Marathon Majors). At his suggestion at the World Congress of AIMS in Macau in 1994, the Marathon Museum (Marathoneum) was founded in Berlin. With the help of his family, friends, his club Sport-Club Charlottenburg (SCC) and many other helping organisations Horst Milde has successfully organized about 350 running events with about 1.5 million participants over the course of 54 years. With its „Contemporary witness initiative“ German Road Races (GRR) e.V. hopes to stimulate other organizers and their teams to remember their sporting historical past, document it and to also present it to posterity. PS: The video on YouTube can be subtitled. You may choose your language by clicking on the icon „settings“ in the lower right corner and then start the subtitle by clicking the very first icon „subtitle“.